Hi, everyone! 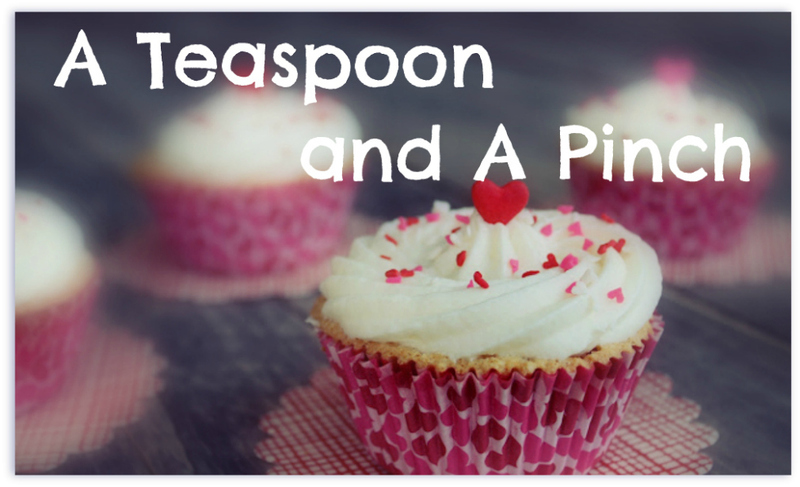 As you may have noticed, all of the ladies here at From Blah to Ta-Daa are doing a Saucy Mama theme week with our recipe posts. 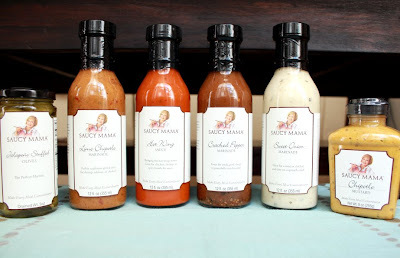 Saucy Mama sent us a sampler of her products so that we could create a recipe to enter her contest! Each of us also gets to give away that same sampler on our individual blogs, so make sure you come visit to enter! I'd been trying narrow down which recipe to post for the Saucy Mama contest (I've made 3 so far! ), when we got a tiny glimpse at Fall weather last weekend. 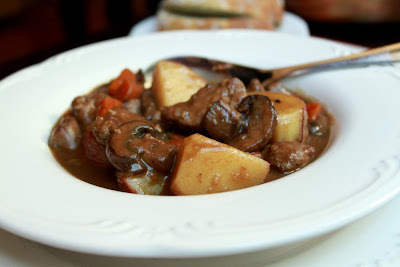 That 10 degree temperature drop (and 20% humidity drop) was all it took for me to settle on making stew. 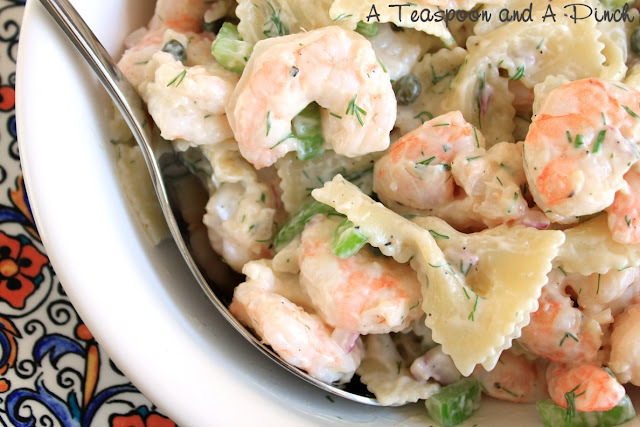 But I didn't feel like lugging out my crock pot and making a big, planned-out ordeal of a meal. I wanted a simple stew, and I wanted it done within the hour. So, I made it in a heavy saute pan, right there on my stovetop. 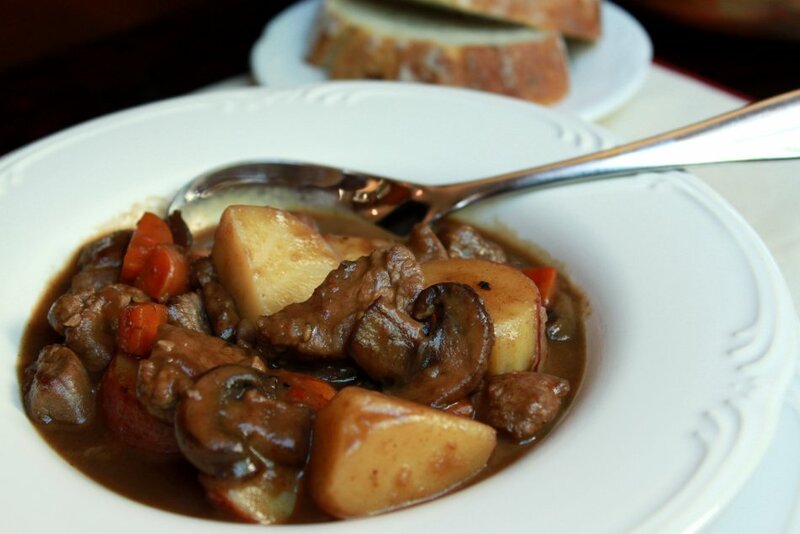 Some tips for making a quick stew: Use only tender cuts of meat. Cook the potatoes in a separate saucepot while you make the stew and add them in at the end. Chop your veggies and meat into smaller pieces than usual so that they cook faster. 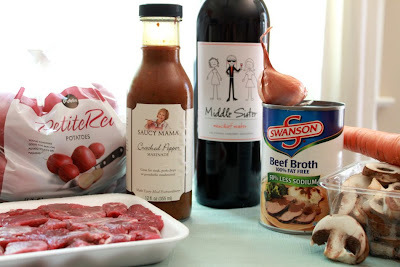 Use a sauce - like the Saucy Mama marinade - with lots of flavor. 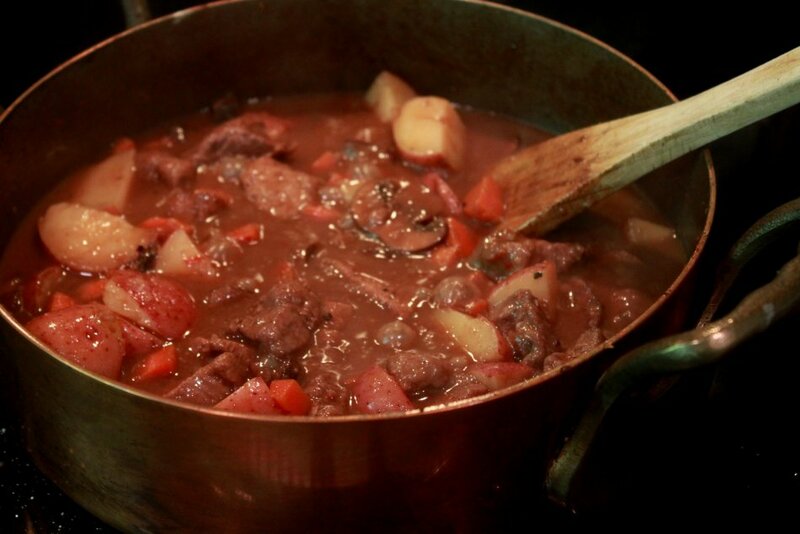 We both loved this stew, and Bo didn't hesitate before going back for seconds. I rate it a 4 Spoons, he gives it a 5 Spoons (but we've always known that he's a meat and potatoes kinda guy). I also made a roast chicken with a Saucy Mama marinade that was honest to goodness amazing. I didn't have time to photograph it for you, so I'll try to make it again and get it posted in the next few weeks. Fill medium sauce pan with water and bring to a boil over high heat. Add pinch of salt and potato pieces to the pan and cook over a low boil for 8-10 minutes, just until fork-tender. Drain and set aside. Meanwhile, heat oil and butter in a heavy saute pan over medium-high heat. 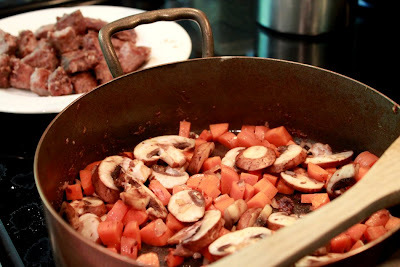 While the pan is heating, toss tenderloin tips in the flour to lightly coat. Add meat to heated pan and saute until browned, about 5 minutes. Remove to a plate and set aside. Reduce heat to medium and add the additional tablespoon of butter to the pan with the carrot, shallot, and mushrooms, and saute until softened. Deglaze the pan with wine, scraping up any bits on the bottom of the pan, and reduce until nearly evaporated. Add in the meat and cooked potatoes, and then stir in the broth, water, and Saucy Mama Cracked Pepper Marinade. Simmer over medium heat until thickened, about 5 minutes. After browning the tenderloin, saute the veggies until tender. Marinade, and simmer until thickened. enter my giveaway and win this whole set!